Officers found 12.8 pounds of synthetic marijuana that police believe was going to be packaged into "colorful containers that appeal to younger buyers." 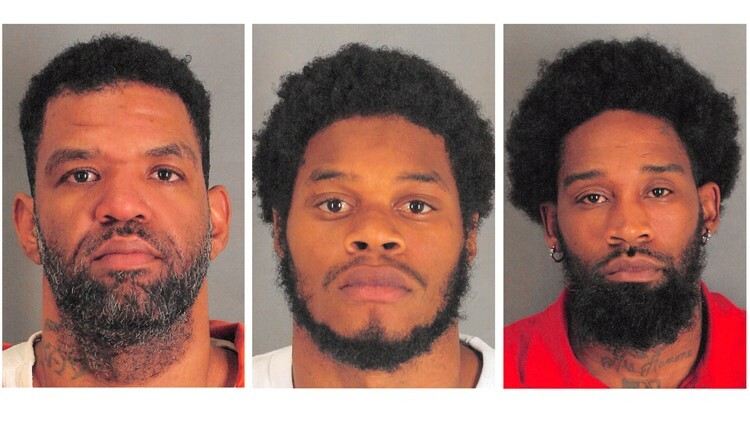 PORT ARTHUR — Police in Port Arthur arrested three men found with almost 13 pounds of synthetic marijuana, narcotics and a gun after executing a search warrant Friday afternoon. Kenneth James Keller, 34, Christopher Dewayne Reed, 26 and Gabriel Wilson Taylor, 35, were all arrested on first degree felony charges of "possession of a controlled substance, penalty group 2A greater than 400 grams" according to a release from the Port Arthur Police Department. Officers found 12.8 pounds of synthetic marijuana that police believe was going to be packaged into "colorful containers that appeal to younger buyers" according to the release. On 11-9-18 at approximately 12:45pm, SWAT and Narcotics officers with the Port Arthur Police Department executed a search warrant at the location of 2147 Wignall. PAPD was assisted in the warrant by DPS investigators as well as Jefferson County Narcotics investigators. Officers recovered from the residence approximately 12.8 LBS of Synthetic Marijuana along with other assorted narcotics. A firearm, along with 2 vehicles were also seized. It is believed the occupants of the residence were preparing to package the Synthetic Marijuana into colorful containers that appeal to younger buyers. The below listed suspects were taken into custody and charged with Delivery of a Controlled substance PG/2A>400 grams/1st Degree Felony. All 3 Suspects were transported to the Jefferson County Correctional Facility for booking. Narcotics investigators will present this case to the Jefferson County District Attorney’s office and will also brief the U.S. Drug Enforcement Agency on these arrests.